Hi friends. Well, the countdown is on and now the real rush begins. Hope you are staying sane and can enjoy the holidays. Today's card is a stamp I bought at a show in our area in September and had not inked up yet! Now that I have, it is such a fun stamp to work with. 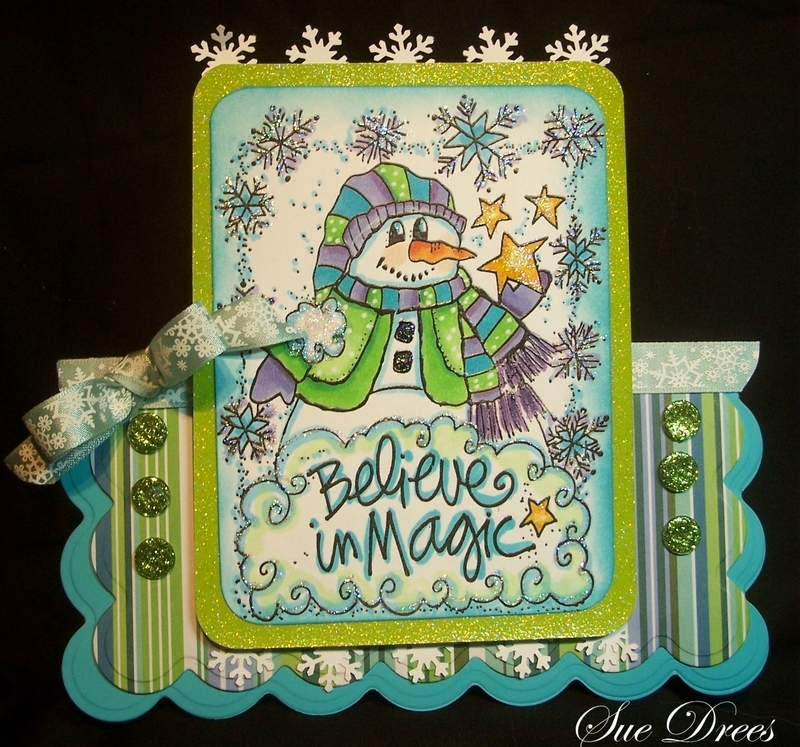 So wonderful Christmas ART here Sue! ADORABLE! I wish you a very merry Christmas! This is so lovely and cute! Love the colors and that wonderful snowman! Merry Christmas! ooo super cute and beautiful card sue. this is gorgeous....beautiful image and colour! the lay-out is also very nice done! I just love your card and what a cute image! great job!